Technology and compliance demands continue to evolve, but in the healthcare industry, one thing remains constant: The need to deliver high quality, patient-centered care. Today’s providers must service patients using multiple channels and devices, and balancing those demands within a strict regulatory environment is a constant challenge. Serving the healthcare community since 1967, CMS offers a full suite of contact center services designed to help modern medical practices thrive. From live answering services to interactive voice response (IVR) and automated solutions, we make it easy to serve the evolving needs of your patients. All while reducing costs and mitigating risks. Professional telephone answering services for all of your medical office communication needs. Always have a live voice available to answer your calls. Virtual receptionists for medical offices help maintain a courteous telephone presence while freeing office employees to work on other tasks. Give patients the ability to schedule and manage their appointments 24 hours a day. Our answering service integrates with numerous web-based calendar systems. Be prepared for every emergency call. We refer calls to the emergency room, patch patients to on-call doctors, and facilitate urgent message dispatching. Important calls don’t wait for office hours. Maintain availability with after-hours medical answering services and ensure you never miss a call. Reduce the cost of missed appointments with patient appointment reminder calls. Help busy patients remember their appointments and cut down on rescheduling. Extend your staff, elevate patient engagement, and help ensure seamless communications with automated solutions from CMS. Always Available. Always Secure. Always Prepared. Live operators and systems built around HIPAA regulations. Safe, encrypted messaging that prevents leaks of personal data. Around the clock support for every communication need. When a patient calls your office, the last thing they want to hear is an automated recording or be sent to voicemail. Callers are stressed, anxious, or in a hurry, and the ability to speak to a live person is not only what they expect and good for customer service, it can also help ensure that your patients are willing and able to receive the help that they need. 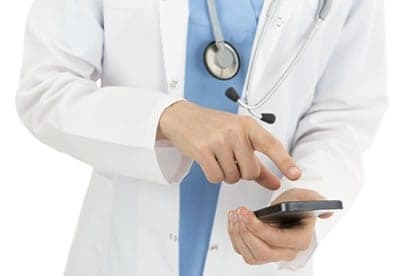 Yet few clinics can invest in hiring staff to handle phone calls 24 hours a day, let alone multiple individuals needed to handle calls for a busy practice. At Continental Message Solutions, our team of trained and experienced agents are available to answer your practice’s calls 24/7/365, all for a fraction of the cost to employ your own staff to do so. CMS is a fully customizable call center service located in Columbus, Ohio, and has been providing services to medical practices like yours for over 48 years. CMS supports hundreds of medical facilities, including private practice, hospitals, networks and more with HIPAA compliant call center services that make your clinic more efficient, cost-effective, and patient-centric. The ability to speak with a live person improves the patient experience and ensures that your responses are prompt and accurate. With multi-channel communication, voice notifications, and multiple healthcare call center solutions, our experienced contact center is a great way to offer better service, increase patient satisfaction, and improve efficiency without sacrificing patient confidentiality. Call us today at (800) 369-8908 to find out more and discuss what CMS can offer your practice.